Also, can or can't he grow tentacles out of his back(if he can, how many? ), and how come we can't see him unless we're using a camera, and HOW ON EARTH CAN HE FIT THROUGH CLOSED WINDOWS????? I never got the Slendy obsession, but that's not the answer. The answer is that he is Slenderman. The entire point of Slenderman is to be mysterious and creepy. He wears birckinstocks... J/K I dun know. But he doesn't fit through closed windows, he just kinda checks em' out if the blinds are open, then becomes obsessed to the point of stalkerdom if someone sees him through the window. Or so his lore goes. His shoes are probably just black dress shoes. He can change his size by either increasing or decreasing it. I know the pains of iPad derp, though, which is why I only use my dad's on occasion. Different fan bases saydiffernt things.  Do you know the number of appendages? I know there is no "canon" slenderman lore, but I generally go by marblehornets. I don't think we've ever had a close up on his hsoes before, we have never seen him grow tentacles or anything (although, I still believe he can), and he can teleport, so windows and doors are no problem. 4. There are a couple of creepy pastas that have him talk, but only one where it is in a creepy demeanor. Basically he comes for Hitler for whatever reason and is depicted as speaking in three different voices at the same time, one is a small male child, one a middle-aged woman, the last, a man in his later years. I don't know if you wanted all that information, but you seemed to want to know more about him, so I hope that helped. If you ever need to know anything else about creepypasta type things, I read a bunch of them, good or bad. So feel free to ask. He was exiled to the forest for wearing them and anyone foolish enough to notice them, he kills. By making them wear crocs. 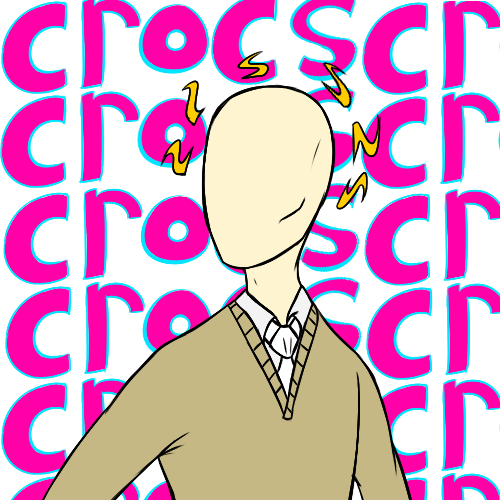 What I'm saying is Slenderman secretly loves crocs. He's a poor, misunderstood outcast with a terrible fashion sense. Who wears a suit to the forest anyway? 1. Why would he wear crocs? 2. How did you get this info? 3. Have you read more than one article on Slenderman? 4. How would he kill someone by making them wear crocs? 5. If he wears crocs, why would he be embarrassed if someone saw him wearing them? There are probably a whole lot more questions you could ask, but those are just a few I could come up with. Obviously fancy dress shoes, I mean...come on, he's got a freaking suit! Who wouldn't wear dress shoes with a fancy tie and suit with dress pants? And then he lives in the forest. But that's another story all together. All these questions, and more, perhaps the very meaning to our existence can be answered in this one simple picture. I shouldn't be awake right now. I lol'd so hard. What time is it where you are? Because if its past 10 pm you probably should go to bed. That image is just seriously funny. My cousin and sis lol'd too. What time is it where you are? Because if its past 10 pm you probably should go to bed. Anyways, I go to bed 12. Every night! And also, that picture is amazing! I am going to save that on my Kindle when I decide to charge it. I don't mind if it's school night or not. Going to bed early is LAME. Point made. And also Slenderman, since he does not exist, is not scary and therefore does not make for bad grades. It may or may not be half two in the morning... yeah it totally is. I just really need to procrastinate right now, don't take this away from me! I never said he was scary. But if you stay up typing and stuff about him- or really anything- you could get bad grades due to sleep deprivation. Lol, don't worry, I won't! I laughed so hard when I read the title. And then even harder when I read the description. Shoes?! That's what you're worrying about?! He wears black dress shoes, he can grow an unlimited number of tentacles out of his back but usually just keeps it to about eight at the most, he can stretch his arms and legs to any length, we don't need a camera to see him, usually if you do see him, if you're close enough, you either get a headache and your vision goes blurry or your camera starts picking up weird audio and the picture get heavily distorted. How can he fit through closed windows? He doesn't. He teleports everywhere or he moves like a ghost (ex. you don't see his legs move and his legs appear to just float across the ground. How does he do all this? He's Slendy that's why there is no reason. They way I see it, he doesn't wear shoes. Or have feet for that matter. See, people can mistake Slenderman's outstretched arms as tree branches, and his legs as tree trunks. That is, until they see his head. So, I just imagine his "feet" as the bottom of tree stumps. Except they're all black and scary-looking.